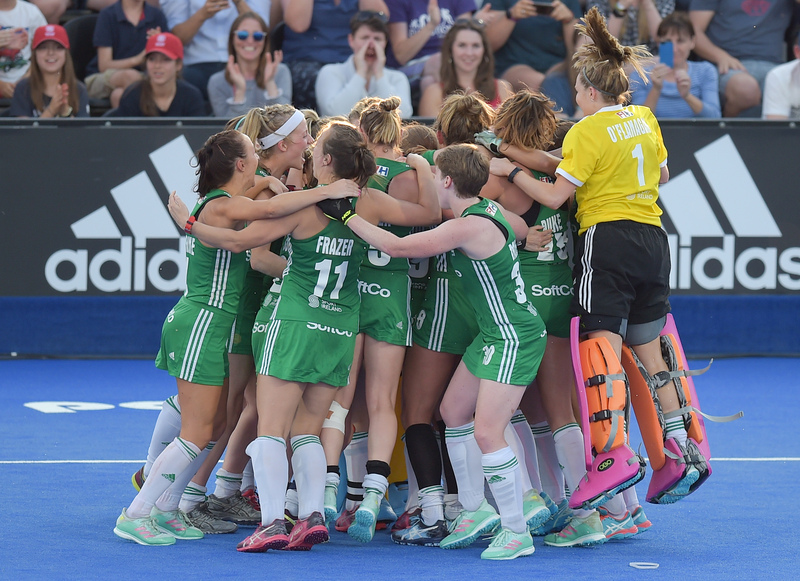 Ireland yet again defied their 16th position in the FIH Hero World Rankings to claim a shoot-out victory over India, ensuring that the Green Army’s fairy-tale story would continue into the final weekend. Last Sunday, Ireland played their final pool game against England. Going into the game, Ireland had already qualified for the quarter finals so they were in a unique position where the result did not matter ! England dominated the game with 15 short corners but Ireland didn’t make it easy for them. It took England to the 4th quarter to score the one and only game of the match. This put England into 2nd place in Pool B and a cross over game against Korea which they won 2-0, advancing to the quarter finals to play hockey powerhouses Netherlands. Ireland had the “easiest” quarter final draw against India, who beat Italy in their cross over game 3-0. The quarter final game was a tight affair with India getting the only corner of the match and the only shot on goal which was duly saved by McFerran in the Irish goal. McFerran, who has been one of the standout players at the Vitality Hockey Women’s World Cup London 2018, was sensational in the one-on-ones, denying India captain Rani and Navjot Kaur with wonderful saves while forcing Monika to shoot wide. McFerran’s goalkeeping heroics were capitalised on by Roisin Upton and Alison Meeke who both scored to make it advantage Ireland. Reena Khokhar kept India in the contest when she made the score 2-1, but Chloe Watkins made no mistake with a cool finish to trigger scenes of unrestrained joy from the Irish players, coaching staff and fans packed into the Lee Valley Hockey and Tennis Centre. Ireland will now meet Spain in the semi finals at 2pm on Saturday. The game will be shown live on RTE 2. GO IRELAND ! A big thank you to Cork Airport Hotel, sponsors of the Women’s 1sts team, for hosting some of Ireland’s supporters on Thursday evening watching Ireland’s quarter final.